Homeowners impacted by strong storms may find themselves in need of contractors to repair damaged homes or clean up fallen debris. When major storms hit, it is not unusual for “storm chasing” contractors to arrive on the scene looking for work. Hiring these contractors can be risky. Photo credit: Adobe Stock | Homeowners should run through a basic checklist with each contractor they interview before agreeing to their terms of service. Many times, homeowners impacted by strong storms find themselves in need of contractors to repair damaged homes or clean up fallen debris. When major storms hit, it is not unusual for “storm chasing” contractors to arrive on the scene looking for work. Hiring these contractors can be risky. Homeowners can help prevent themselves from becoming the next victim of repair fraud by doing a little extra research before agreeing to pay for any services. Homeowners should run through a basic checklist with each contractor they interview before agreeing to their terms of service. 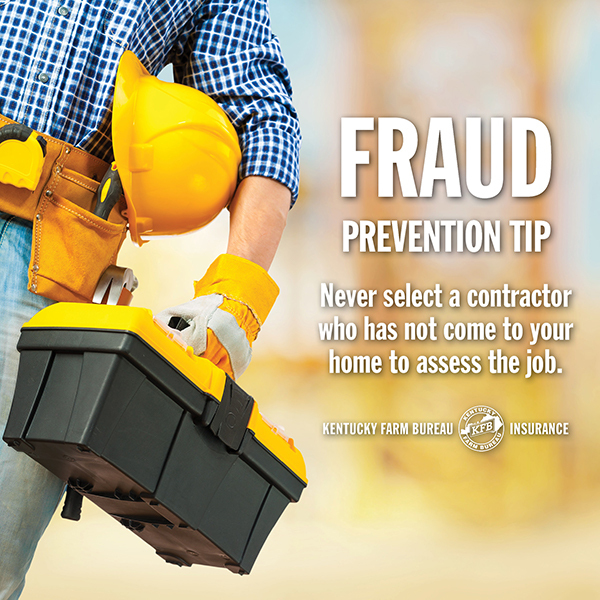 Kentucky’s Attorney General, Andy Beshear, and his Office of Consumer Protection encourage consumers needing home repair work or cleanup services to take caution when selecting a contractor. Deal only with reputable, established firms. Ask friends and neighbors for recommendations and do thorough internet research beforehand. You can also request names of past customers and contact them to find out if they were satisfied. 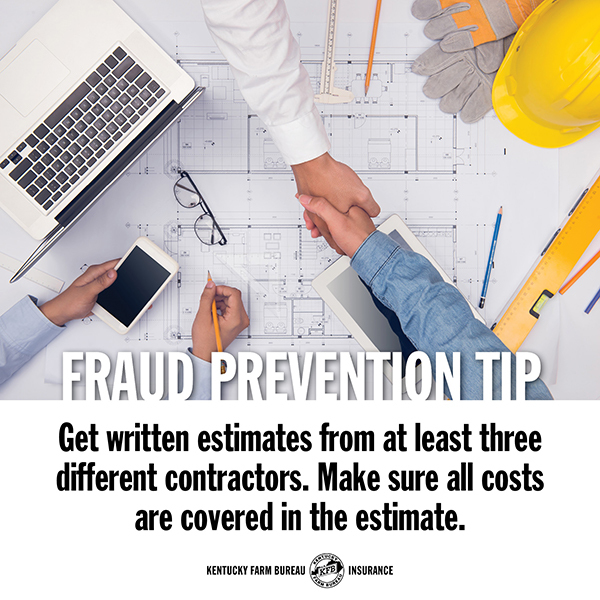 Get written estimates from at least three different contractors. Make sure all costs are covered in the estimate, including the down payment, finance charges, building permit fees, installation costs and all materials. Never select a contractor who has not come to your home to assess the job. If a contractor asks to inspect your property for damage, follow them and observe their activities. 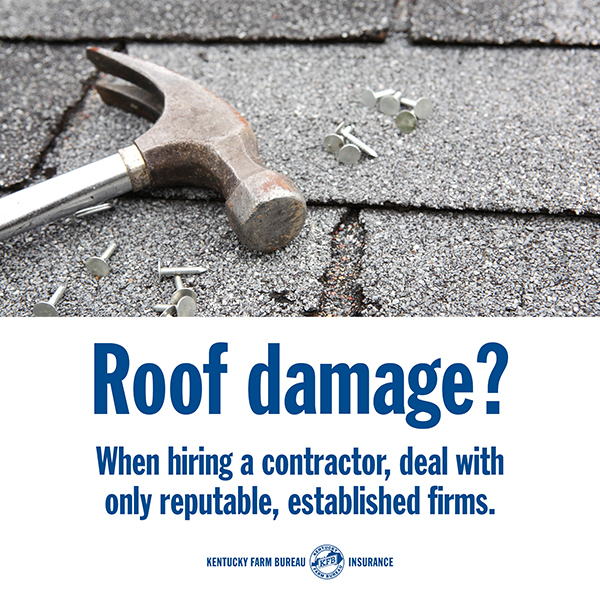 Dishonest contractors will often cause damage that mimics wind and hail damage. If they are on your roof, observe from the ground. Ask questions about what methods or material will be used, when work will begin, how long before the job is completed and what method of payment is required. Insist on getting a written, detailed contract. Don’t let a persuasive seller push you into signing a contract on the spot until you have received several estimates and are completely sure of the contract terms. You may be asked to sign documents other than the contract. Read these papers thoroughly so you know exactly what you are signing. Do not sign a contract until you know what damages your insurance will pay for, and how much will be paid. It is also important to note that per Kentucky’s “storm chaser” roofing law (KRS Chapter 367.620-367.628), consumers may cancel a roofing contract within five days of signing it if they receive notice from their insurer that all or part of a claim is not covered by insurance. Is required to provide homeowners with a valid mailing address, phone number and specific notice of the consumer’s cancellation rights. Cannot require advance payment until the five-day cancellation period has expired, but can be paid for completed emergency repairs. 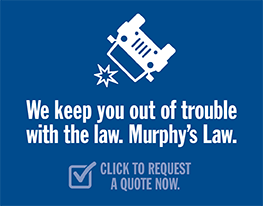 Is prohibited from offering to pay for or rebate an insurance deductible. May not grant a discount or pay any compensation greater than $100 as a bonus, coupon, credit, gift or referral fee for services rendered. May not cause damage to a roof in order to increase the scope of repair or replacement of a roof system. For additional information or to file a consumer protection complaint, call the Consumer Protection Hotline at 1-888-432-9257 or visit ag.ky.gov.